A lesser mouse lemur. By Arjan Haverkamp via Flickr. Palm fronds crunch under a researcher’s foot as she hikes through a rainforest in Madagascar looking for a spot to release a tiny, omnivorous ball of fur with bulging eyes—a mouse lemur. This creature, the smallest type of primate, is an important research subject: it has just yielded a blood sample, skin cells, and an abundance of physical and behavioral data. The researcher and her team have big plans for the little lemur—they hope it will soon become a genetic model organism that will help us better understand many aspects of primate biology, behavior, and health, including lemur and human diseases. In the June issue of GENETICS, Ezran et al. explain their decision to pursue genetic research on these diminutive primates. The idea began as a project for three high school laboratory interns to find an appropriate model organism for primate genetics—no small feat, given that there are over 500 known primate species. The genetic models we currently depend on, such as mice, can’t recapitulate all of primate biology. Genetic research on mice has led to countless important discoveries, but their physiology and behavior differ in many ways from that of humans and other primates. For example, in humans, the fatal lung disease cystic fibrosis is caused by dysfunction in a single gene, but mice with the same defective gene do not show symptoms of the disease. Human-like behavior, such as the use of tools and sophisticated vocal communication, is also impossible to study in the existing genetic model organisms, so it’s critical to find genetic models closer to humans on the evolutionary tree. The researchers considered many factors. The candidate would need short reproduction times and relatively large numbers of offspring to allow many genetic crosses on a practical timescale, but these traits are found in few primates. The ideal model would also be small, inexpensive to maintain, and easy to work with—it’s no use trying to do genetics with large or dangerous animals. They also took conservation status into account; if a species might be threatened by using it as a model, it was ruled out. 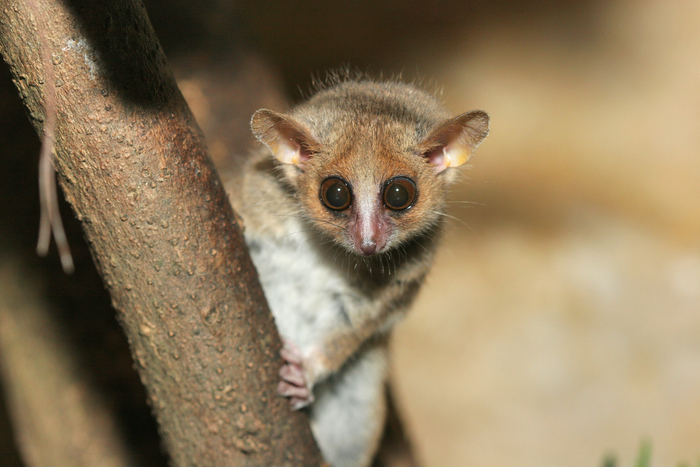 With all these factors in mind, the group settled on the genus Microcebus: the mouse lemurs. They’re about twice as closely related to humans as are rodents, they’re the fastest-developing primates, they have large litter sizes, they are abundant—and working with them in the wild is virtually free. There’s also an existing body of research on natural mouse lemur populations detailing their biology, evolutionary relationships, and the structure of their populations. Studies of these wild lemurs have shown they have good memories and communicate vocally in their social groups, making them excellent models for those aspects of human behavior. And demonstrating their amenability to laboratory studies, several research colonies already exist around the world; one such colony has been studied for over 50 years. A final benefit of using these animals is that there’s a large amount of standing genetic variation in their native populations—so finding interesting mutations can be as simple as sifting through existing variants. Ramping up research on mouse lemurs could even have benefits for the local Malagasy people. Ezran et al. describe a high school program they have established in Madagascar’s Vatovavy-Fitovinany Region, an area known for its rich rainforests. The program aims to train the students as citizen scientists using the natural laboratory surrounding their school. One day, these students may be the researchers following the lives of these tiny primates and identifying the genes that influence them, putting their skills to use in learning from their bountiful natural environment. Ezran, C.; Karanewsky, C.; Pendleton, J.; Sholtz, A.; Krasnow, M.; Willick, J.; Razafindrakoto, A.; Zohdy, S.; Albertelli, M.; Krasnow, M. The Mouse Lemur, a Genetic Model Organism for Primate Biology, Behavior, and Health.